Davanagere: The State Consumer Disputes Redressal Commission has recently directed a city-based Manipal hospital to pay compensation of Rs 21 lakh for performing deficiency in providing treatment to minor suffering from dengue. Bangalore Mirror reports about the case stating that forum said that the hospital did not follow the WHO and Ministry of Health and Family Welfare guidelines during the treatment. The case concerned a 12-year old patient, who was admitted to Bapuji Child Health Research Institute and Research Centre, Davanagere, on 14th May 2012. He was doing fine in the course of treatment but to gain better healthcare services he was shifted to Manipal Hospital on the next day. The patient was given brufen, oralis, fenatyl citrate, zinetac among other drugs and fluids but no signs of recovery were observed. On 16th May, he went through a cardiac arrest and was given defibrillation or controlled electric shock treatment. The next day, more tubes were inserted into his body to draw haemorrhagic fluids. The Additional Intravenous therapy (IV) fluids and medicines like calcium gluconate, sodium bicarbonate was administered to him and blood and urine tests were performed. The doctors further speculated intra-abdominal bleeding and conducted laparostomy surgery . Even after conducting all the procedures, the child could not recover and died on 17th May in the afternoon. It was declared by the hospital that the death happened due to viral haemorrhagic fever with shock, metabolic acidosis, and cardio-respiratory arrest. The father of the deceased filed a complaint in the Consumer Forum against Dr Ramakrishnan, paediatrician, Manipal Hospital and alleged medical negligence on the part of the doctor and the hospital,reports Bangalore Mirror. The hospital denied any such allegations. The hospital further alleged that the complaint was filed for monetary benefit. The suggestion of the purchase of additional drugs at the time of the death of the child raises questions on the genuineness of the treatment. There was no record maintained by the hospital bout the time, details and dosage of medication according to the age and weight of the child. There was no record of what was found out after the laparostomy surgery. ‘Treatment is opposed to the guidelines issued by WHO and Ministry of Health and Family Welfare and that the use of brufen reveals lack of care and knowledge’. The court further directed the hospital to pay compensation of Rs 21,37,036 in the case of the untimely death of the minor due to medical negligence. This includes Rs 15,00,000 as compensation and the bill of Rs 6,37,036 lakh, which was handed over to the parents after the two days of treatment. A medical practitioner cannot be forgiven for prescribing NSAIDS in dengue fever. In the above mentioned case they prescribed brufen and also did a laparotomy for ascites.. Definitely goes against treatment guidelines. Appropriateness of treatment should always be decided by a committee of experts and not by ignorant judges. Judge is a non medical person like judge. 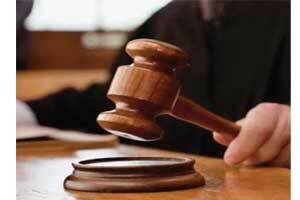 Court should have obtained opinion from Indian college of critical care medicine ( pediatrics). Sick babies needing ICU therapies like ventilation, CRRT, organ support are complex and there are always competing priorities while managing patients. Guidelines are not laws otherwise you don\’t need doctors to treat patients, any non medical personnel can follow guidelines and treat patients. I am dismayed by the English language has been used by the journalist of your esteemed newspaper. I would hope that the family get some solace from the judgement. in order to prove medical negligence 4 different element should be proved by the complainant. they are 1. the duty to care, 2 the breach of that duty 3. the effect of the said breach 4. the proximate connection between the damage and the breach of that duty. the question here is whether the diagnosis of viral hemorragic fever is valid and the treatment or icu interventions are indicated or not. the guidelines are only general in nature and are not the strict laws to be implemented down to the letter. just because an incidence is not documented it should not be branded as negligence. the facts can be surmised from image records lab reports icu charts etc. the medical negligence cases have 3 different defence element. 1 the factual defence where documentation is a big help.2. the technical defence namely the various critical care scores and relevant mortality rates etc and the natural history and mortality of the disease etc. 3. finally the legal defence. the factual defence and technical defence are not very well understood by the advocates and the healthcare providers should educate their lawers about these technical points. it is obvious that these technicalities are not placed in a leucid manner to the court. a fit case for appeal. I AM HAPPY ABOUT THE OUT COME. I THINK NO NEED TRY EACH AND EVERY TECHNIQUE & PROCEDURE ON A FRAGILE SITUATION , SPECIALLY INVADED BY THE VIRUSES. THE OUT COME MAINLY DEPENDS UPON THE VIRULENCE OF THE INVADED / INFECTIVE MICROORGANISMS AND THE HOST RESISTANCE. I THINK THERE IS NO FORCEPS AVAILABLE TO CATCH AND PICK EACH AND EVERY ORGANISM SO TO ELEMINATE THEM TILL THE LAST , SPECIALLY THE VIRUS . IN A HIGHLY COMPROMISED PATIENTS I THINK IT IS UNWISE TO BE ADVENTUROUS- BY CATCHING THE RBCs AFTER THE LAPAROTOMY. – SIMPLE FOCUSED ABDOMINAL SONOGRAPHY / FAST, WITH OR WITH OUT NEEDLE ASPIRATIONS + COMPLETE BLOOD PICTURE WOULD HAVE BEEN A BETTER OPTION . (Bleeding diasthesis/ disorders) . WAIT & WATCH ACT ACCORDINGLY…… WITH OUT BEING AGGRESSIVE IS THE BEST WAY I GUESS. HOSPITALS SHOULD NOT BATTLE GROUND – MORE THAN INVOLVEMENT / INTERFERENCE , PROBABLY WORSE THE OUT COME. THERE WAS SIMILAR CASE IN PAST IN OF THE CORPORATE HOSPITAL IN AROUND DELHI .( ? FORTIS ).